Freshly renovated Estate Home near the heart of downtown. 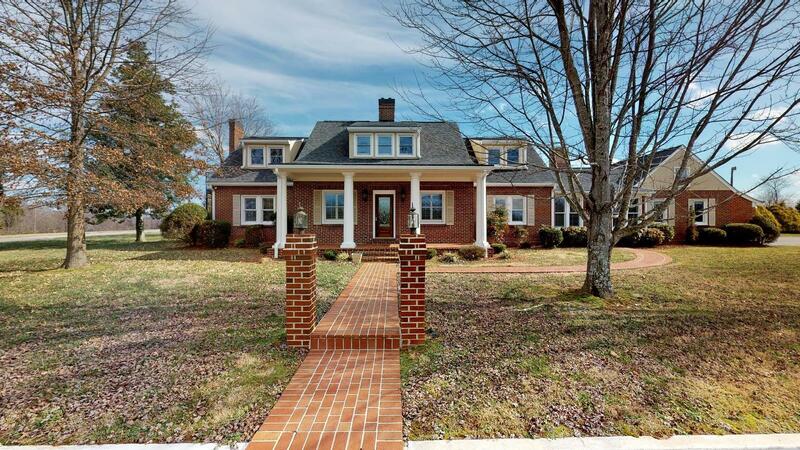 Over 3250 sq ft of living space, 900 sq ft of porch/patio, & basement situated on 4 acres.This 1940s beauty has recently undergone extensive renovations and includes new paint, carpet, refinished hardwoods, stainless appliances, quartz counters, 3 fireplaces, tile shower, jetted tub, and more. Original antique interior doors with glass knobs and vintage hardware remain to add to the historic charm! Come view and make this house your home!